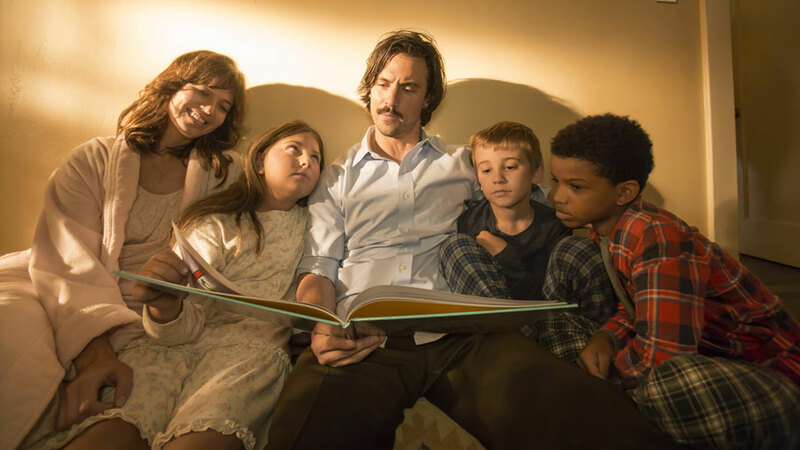 As watchable as ever, 'This Is Us' is off to a solid start this season. This is Us, the super-popular American drama show, is back with us from across the pond for its second season. The fact that one of it’s episodes, entitled ‘Superbowl Sunday’, aired directly after the 2017 Superbowl in the United States, is testament to this popularity. I would say more about it, but that would require me to look up further details about the show, and I’m invested enough to be wary of spoilers. Which is a compliment in of itself. The show picks up where it left off last season, with actor Kev (Justin Hartley) working on a film in LA while trying to maintain his relationship with childhood sweetheart Sophie (Alexandra Breckenridge); Beth (Susan Kelechi Watson) and Randall (Sterling K. Brown) coming to terms with a recent bereavement and debating a huge decision for their family; and, in the past, Jack (Milo Ventimiglia) and Rebecca (Mandy Moore) dealing with a rift in their relationship. Meanwhile, Kate (Chrissy Metz) pursues a new passion with the help of amazing fiancé Toby (Chris Sullivan). Considering that the show is structured around the heavy use of flashbacks and flashforwards, it’s pleasing that they are used sparingly throughout, never being reduced to gimmicks like they so often can be. We’re treated to twists and turns from the past that we see resurface in real time, affecting the present in the lives of our modern-day characters and allowing them to grow and develop on an episodic basis. And there was a humdinger at the end of this first episode which definitely kickstarted the season and piqued my (and many viewers’) interest. Thematically, the show is generally a perfect watch for the whole family on a lazy Wednesday evening. The tragic death of Jack that has been looming since the very beginning of the drama keeps you intrigued but never veers too far to leave you in the depths of despair. One thing the episode – and indeed the whole show – does so well is to balance the tragic and the more light-hearted material, mimicking life in its own way. While sometimes frustrations can arise when the characters don’t necessarily do what you want them to do, they are noticeably developing from where they were left last season. I’ll happily admit that I have my favourite characters as well as ones that annoy me a tad, but they’re all part and parcel of the show and, admittedly, make it more enjoyable. The characters do have dialogue that my best friend, for one, would hate – all lovey-dovey and sickeningly sweet – but that is also part of the show’s charm. The whole thing is a hyperreality where everything is dialled up to the extreme, including the family drama and the relationship goals. Regardless, both the show and the cast are very genuine and fab, and This is Us remains hard to resist. This Is Us airs Wednesday evenings at 9pm on More4.